Home > Mr. Hair Art STENCILS > CREATE Your Own CUSTOM Hair Art STENCIL! Order Your Own CUSTOM Hair Art STENCIL MADE Here! 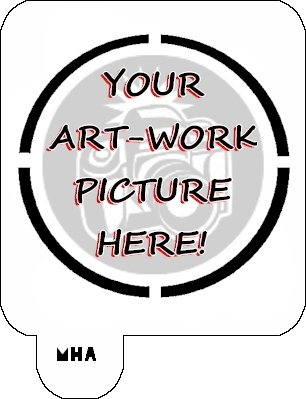 1 Mini Size Stencil of your Custom Artwork. 1 Regular Size Stencil of your Custom Artwork. 1 Large Size Stencil of your Custom Artwork. 1 X Large Size Stencil of your Custom Artwork. Choose Steps 1, 2, and 3 to create your own Custom Stencil.